Change is afoot in Last Tango In Halifax! 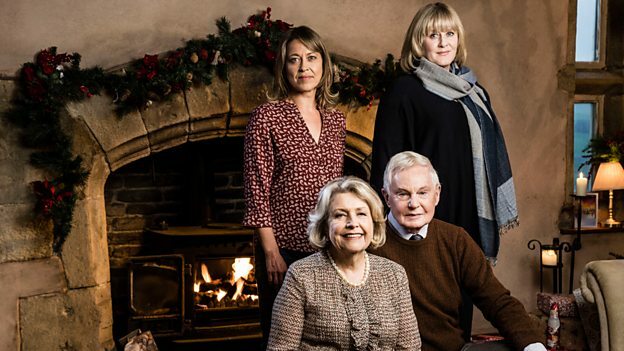 With Christmas just around the corner, BBC One has released a new trailer for the highly anticipated Christmas special of drama Last Tango In Halifax. The two-part Christmas special, which is set to air at 9pm on Monday 19th and Tuesday 20th December, sees Caroline (Sarah Lancashire) faced with changes with a new job new job and potential love interest in Huddersfield. Meanwhile Gillian (Nicola Walker) and the rest of the family deal with a potentially haunted barn. The series also stars Anne Reid, Derek Jacobi, Josh Bolt and Dean Andrews.